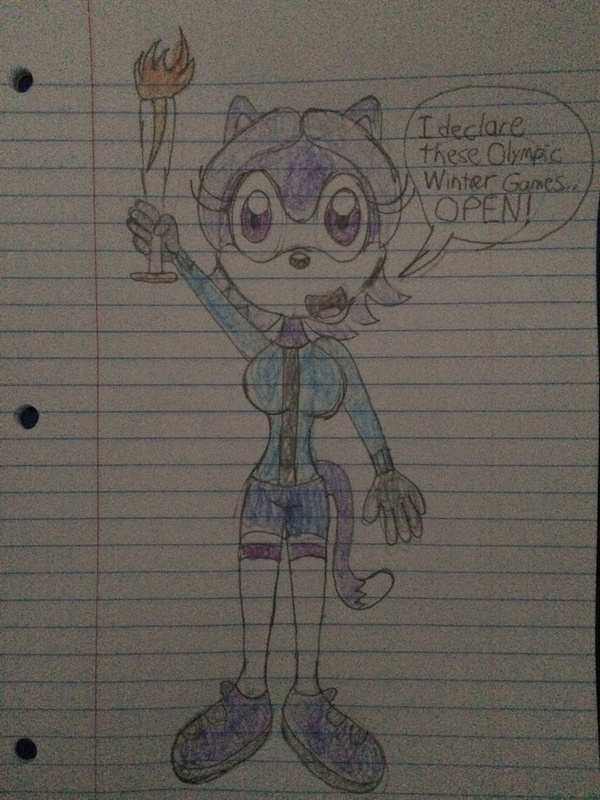 In honor of the PyeongChang 2018 Opening Ceremony, I've decided to draw Maureen the Cat wearing a Winter Olympics outfit while holding the Olympic torch. Her outfit is a sky blue jacket, blue shorts, grey gloves, long socks, and purple sneakers. Now that Maureen is about to light the Olympic cauldron, it's time for the games to commence.